"It all started for me at Studio One, the record label that was like the Motown label in America. It was owned by Coxson Dodd, the master mind behind us all. He signed me in the early 1960’s, and I had the pleasure of working with so many wonderful performers and musicians who were also signed with him including Bob & Rita Marley; Peter Tosh; Bunny Wailer; Slim Smith; Delroy Wilson; Joe Higgs; Ken Boothe; and the Skatalites. I really liked Bob Marley because he was rather earthy, religious, and so very talented...we used to discuss our life as kids, our love for music, and the difficulties we faced trying to get our records out on a timely basis...not to mention getting paid for them. She's back... and she's "Hot Again"! After a self -imposed twenty-year hiatus, Norma Fraser has returned to the reggae music scene with a new album "Hot Again". Recorded in her native Jamaica, Norma decided it was only appropriate to return to her roots... the place where her career began in 1961, with the number one hit "We'll be lovers" (which was on the top of the charts for over a year). "Hot Again" establishes Fraser as the "Queen of American Roots Reggae," a title she awkwardly accepts, "I'm getting back to my music now because over the past years, so many people have come up to me to tell me how the music has bettered their lives...they've encouraged me to come back. I'm more mature now, and truly understand how music can heal people and bring joy to their lives." Fraser was born and raised in Jamaica and deeply influenced as a child by "Ska" music. According to Fraser, she and her playmates "revered the style, energy, and feelings we derived from listening to 'our' music. Judy Mowatt OD (born 1952) is a Jamaican reggae artist who rose to fame as part of the trio the "I Threes", the backing vocalists for Reggae legend, Bob Marley & The Wailers. She was born Judith Veronica Mowatt in Gordon Town, in the parish of St. Andrew in Jamaica. At the age of 13 Mowatt became a member of a dance troupe which toured Jamaica and other islands in the Caribbean. Her initial ambition was to become a registered nurse. Her earliest musical influences were Aretha Franklin, Otis Redding, Curtis Mayfield, Dionne Warwick, Bob Marley, Marcia Griffiths, The Staple Singers and The Soulettes. A coincidental meeting with two teenage girls who were earlier in her dance troupe led to the formation of the Gaylettes, in 1967. Mowatt was associated with Bunny Livingston/Wailer in the early 1970s, and wrote some of the tracks he recorded. At that time, for legal reasons, she used the names Juliann and Jean Watt. On The Wailers album Burnin' (1973), two songs written by Bunny Wailer were credited to Judy Mowatt under the pseudonym Jean Watt: "Hallelujah Time" and "Pass It On". Furthermore, the B Side of Concrete Jungle, "Reincarnated Soul", was also credited to Jean Watt and sung by Bunny Wailer. This song – with the name changed to "Reincarnated Souls" – was included two years later on Bunny Wailer's first solo album Blackheart Man (1976). In 1974, she got her big break by joining Bob Marley's backing vocal trio the "I Threes" with Marcia Griffiths and Rita Anderson (who became Bob’s wife, Rita Marley). Her Black Woman album (1980) is considered by many critics to be the greatest reggae album by a female artiste. It was also the first reggae album recorded by a woman acting as her own producer. She became the first Jamaican female singer nominated for a Grammy Award in the category of reggae music when her Working Wonders album was nominated in 1985. Formerly a member of the Rastafari movement, in the late 1990s she converted to Christianity and now sings Gospel music. In 1999 the Jamaican government made her an Officer of the Order of Distinction for "services to music". On Monday, March 2, 2015 at the United Nations General Assembly Hall, Etana and her band took the stage at the private concert "Stop Ebola and Build For the Future" led by United African Congress, Give Them A Hand Foundation and the Friendship Ambassadors Foundation. She delivered a breathtaking set - performing songs from her latest album I Rise as well as her single "Better Tomorrow," which has been chosen as the campaign's official anthem. After final remarks from the National Chairman of UAC Dr. Mohammed Nurhussein, Etana returned to close the show with a grand finale performance of "Better Tomorrow" featuring Independent Artists United, where she brought the crowd to their feet for a standing ovation. "When I wrote the song 'Better Tomorrow' I thought of Africa and how rich and beautiful the continent is yet there are so many struggling and suffering people and only a handful of very wealthy people. I also had similar thoughts of people in America, South America, Jamaica, Haiti and India. I wanted the world to feel like I feel, that there must be a better tomorrow. When I heard that someone was so moved by the song that they wanted to use the song to help people affected by Ebola I was overwhelmed with emotions. I am so happy to see the song doing exactly what I wanted it to do - help, heal and strengthen humanity. I am grateful to everyone participating in the mission to help make it a very successful one. One perfect love to each and everyone," states Etana. Starting this week, all the proceeds from "Better Tomorrow" go towards children orphaned by Ebola and rebuilding the communities affected in Guinea, Liberia and Sierra Leone. The "Stop Ebola and Build For the Future" event was hosted by NY1 News anchor Cheryl Wills with remarks from the Secretary General of the United Nations Ban Ki-Moon, United States Ambassador to the United Nations Samantha Power, Sierra Leone Ambassador to the United Nations Vandi Minah, Italy Ambassador to the United Nations Sebastiano Cardi, TV personality and humanitarian Lisa Vanderpump, Dr. Howard Zucker (Acting Commissioner of Health for New York State) and former head of the NAACP Dr. Benjamin Chavis. The evening featured additional performances by Chieck Hamala Diabate and Band and Artists With One Voice, featuring singers from Senegal, Sierra Leone, Liberia, Guinea, Cameroon and Mali. "We are honored to be asked to support this noble effort. Etana is the right artist to represent and 'Better Tomorrow' is the perfect song," concludes Richard Lue, Director of Business Development at VP Records. Etana headlines the International Women of Reggae concert being put on by Coalition to Preserve Reggae Music on April 25 at Brooklyn College in New York. Phyllis Dillon - "Perhaps the Finest..."
Phyllis Dillon was born in 1944 in Linstead, St. Catherine, Jamaica, and attended the Linstead Primary School. Influenced by American singers Connie Francis, Patti Page and Dionne Warwick, she began singing in talent contests. It was during a performance at the Glass Bucket Club in Kingston, Jamaica with the group The Vulcans, that Duke Reid's session guitarist Lynn Taitt discovered Dillon. Dillon recorded her first record for Duke Reid, "Don’t Stay Away", in late 1966, a recording that has been described as "perhaps the finest female performance in Jamaican music". While most of Dillon’s subsequent recordings would be covers of popular and obscure American songs including Bettye Swann's "Make Me Yours", Perry Como's "Tulips and Heather," The Grass Roots' "Midnight Confessions," and Stephen Stills's "Love the One You're With"; "Don't Stay Away" was an original composition featuring Tommy McCook and the Supersonics as the backing band. Another original song, "It’s Rocking Time" would later be turned into the Alton Ellis' hit "Rocksteady". While these early recordings demonstrate Dillon's mastery of the rocksteady sound, a much slower, soulful, response to the sultry weather that made ska's upbeat rhythm and tempo undesirable even impracticable, it was no indication of her greatest performance, 1967's "Perfidia". Popularized by the American surf rock band The Ventures, "Perfidia" is a 1940 song written by Alberto Domínguez and made popular by the Cuban bandleader, Xavier Cugat. Dillon also recorded duets with Ellis (as 'Alton and Phyllis'), including "Why Did You Leave Me To Cry" and "Remember that Sunday". Dillon is regarded as one of the key singers of the rocksteady era. At the end of 1967, Dillon moved to New York. The following five years, she spent living a double life. She had a family and career in banking in the United States, flying frequently back to Kingston, Jamaica to continue recording for Reid. After a number of singles and an album entitled Living in Love, Dillon ended her recording career in 1971. In 1991, Michael Bonnet, the entertainment director for the Oceanea Hotel in Kingston approached Dillon inviting her to sing. Her refusal at first was later rescinded and sparked a revitalized interest in performing and recording. In the years following, Dillion would tour the UK, Germany and Japan. In 1998 Phyllis Dillon returned to the recording studio with Lynn Taitt, marked by reinterest in ska music in the United States. She remained active until illness took hold. Phyllis Dillon died on 15 April 2004 in Long Island, New York, after a two-year battle with cancer, at the age of 59. Dillon was posthumously awarded the Order of Distinction in 2009 by the Jamaican government! Brooklyn, N.Y., March 3, 2015...The board of directors of the Coalition to Preserve Reggae (CPR) is pleased to announce International Women of Reggae - A Night of Hits, taking place on Saturday, April 25th from 8pm to 11pm at the Walt Whitman Auditorium, Brooklyn College, Campus Road and Nostrand Avenue in Brooklyn, New York. The event which launches the tenth anniversary celebration of CPR is billed as a "celebration of the feminine energy in reggae music." A first for the New York audience, the red carpet affair has the endorsement of a growing number of celebrities and public officials, and features the leading lady of Reggae, Etana "The Strong One", headlining a stellar constellation of female artists representing a cross section of the genre from roots reggae to old school dancehall. Since receiving the CPR 2013 Simba (Lioness) Award, Etana, who is originally from August Town, Jamaica, and who just wrapped up a successful European tour in support of her chart topping fourth album, IRISE, has been on an upward spiral. IRISE, produced by maverick producer and musician, Clive Hunt and released on VP Records, was number one on the Billboard Reggae Chart and radio deejays have kept tracks like Strong Jamaican Woman in heavy rotation, while Richest Girl continues to sit atop the charts. Her anthemic Better Tomorrow from her previous album Queen, was recently chosen by the United Nations to be the theme song for the "Ending Ebola and Building for the Future" campaign. Confirmed and excited to be a part of the lineup is Nadine Sutherland, the former child prodigy who was propelled to fame at age 11 when she won Jamaica's Tastee's Talent Competition "beating out Paul Blake and Yellowman" and was among the first artists presented by the late King of Reggae, Bob Marley on his Tuff Gong label. Nadine graduated from St. Andrew's High School for Girls in Kingston and found success in duets with Terror Fabulous (Action) and Buju Banton (Wicked Dickie) and scored big with solo hits like Babyface and Big Tingz to make her mark in the spotlight. Also making her way to Brooklyn is lover's rock sensation JC Lodge. Her extensive catalog includes chart toppers like Telephone Love, a huge cross over track, and the celebrated hit, Someone Loves You Honey. JC Lodge, is making a very special effort to be a part of this historic occasion flying in from London just for the show. Supporting the star studded line up is newcomer, and 2009 Digicel Rising Stars winner Shuga, from St. James, Jamaica. Having toured extensively with Tanya Stephens as a backup singer, Shuga has been making a name for herself with singles like Ebony and Ride Di Riddim, and is due to release her first album shortly, on Penthouse Records. Lady Ann, the first female deejay to chart a number one hit with the "big chune" Informer will perform alongside Junie Ranks, bringing the dancehall flavor of the 80's and 90's. Junie promises to perform hits like Big and Ready and Bring Back the Love in the Dancehall. Toronto's Tasha T makes her way to Brooklyn riding high on the crest of her recent 2015 Juno Award nomination for best reggae recording for her 2014 album, Real Talk and Reggae Month performances and appearances in Jamaica. The line up also includes rising starlets, Chyna Nicole, who recently released her album, 20 Years in The Making, and Kristine Alicia who's remake of the Carole King classic, Will You Still Love Me is soaring up the charts to rave reviews. The visionary International Women of Reggae - A Night of Hits, which celebrates the feminine energy in reggae, is the brain child of CPR co-founders Sharon Gordon and Carlyle McKetty, both of whom agree that it is high time women get their shine. "Brooklyn Center for the Performing Arts is thrilled to partner with the Coalition to Preserve Reggae Music to showcase the incredible breadth and depth of today's best female international reggae stars," says Jon Yanofsky, Director of the Brooklyn Center for the Performing Arts at Brooklyn College, co-presenter of the event. He further adds that, "Brooklyn has long been the American seat of the West Indian and Caribbean community, so it's a homecoming of sorts to feature such a dynamic line-up of women artists right here in the borough known for its rich Caribbean heritage. We are sure the evening will be a sensational success and are excited to continue the partnership with CPR for years to come." Many consider Coalition to Preserve Reggae Music to be the preeminent organization furthering the cause of roots reggae globally and all proceeds from this event will support the forums, internet broadcasts and other CPR efforts to preserve and expand the reggae genre. Dawn Penn is one of the original queens of reggae music. A native of Kingston, Jamaica, she grew up in a musical family, studying piano, classical violin and performing with her sisters Pat and Audrey in churches. Her first recording was “When I’m Gonna Be Free” was in 1966. She then recorded for the legendary Coxsone Dodd at Studio One and her first hit came in 1967 with the title “You Don’t Love Me – No, No, No”, one of the most famous reggae hits of all-time which has been covered by countless artists around the world including Beyonce, Rihanna, Sean Paul, Wu-Tang Clan, Eve, J Millz and Lily Allen. Over the next several years several singles were released including three: “Blue Yes Blue”, “Here’s The Key” and Long Day Short Night” on Prince Buster’s Label. In 1970, she moved to Tortola in the British Virgin Islands to explore her roots on her father’s side. She returned to Jamaica in 1987, re-recording her single You Don’t Love Me” with Steelie and Cleavie in 1991. Steelie & Cleavie’s version (which they recorded to commemorate Studio One’s 35th Anniversary) was a crossover hit in the mainstream pop charts and was picked up by Heartbeat in the U.S. King Jammy’s recording that was done the year before with Bounty Killer, Dennis Brown and Ken Boothe, under separate recording on the Greensleeves label became a dancehall smash. In 1993, Big Beat (Atlantic Records) signed Penn to an 8-year album deal, and by the following year she was back on the charts with her re-recorded dancehall version of “You Don’t Love Me – No, No, No”. The single charted in 53 countries, was featured in advertisements for Nissan and Churchill and the album was nominated for a Grammy Award. In 1995 she produced and recorded her original track “What Do You Do?”, followed up by Delroy Williams and herself producing the album called “Come Again” on Trojan Records which sold close to 110,000 copies. Her 2000 single “Never Ever” was released on Jet Star, becoming a smash hit on BBC Radio 1. In 2001 she was honoured with the “Martin Luther King Award” by Caribbean Images in recognition of her contribution to Jamaican music. From 2002-2004 she collaborated with top U.S. hip hop artists including John Forte of the Fugees on (“What You Gonna Do” and “Mercy pon we”) culminating in the release of the R & B Album- “Never Hustle The Music”, touring extensively across Europe. In the US, Cocoa Brovaz (“Spit Again”) was a Project on Rawkus. She toured Hawaii with Alpha Blondy in 2005, officially releasing “Growing Up” to wide acclaim. Since then, Penn has been thrilling vintage reggae lovers and crossover fans alike at festivals in the U.K., Sweden, Belgium, the Czech Republic, Russia, Portugal, Spain, Switzerland, and Italy. She has written her book “Story of my Life” available in the Kindle Format on Amazon and all ebook stores. Millicent Dolly May Small CD (born 6 October 1946), better known professionally as Millie Small and also known simply as Millie, is a Jamaican singer-songwriter, best known for her 1964 cover version of "My Boy Lollipop". Her other stage names include Little Millie Small. Born Millicent Dolly May Small in Gibralter in Clarendon, Jamaica, Millie was the daughter of a sugar plantation overseer. Like many Jamaican singers of the era her career began by winning the Vere Johns Opportunity Hour talent contest at the age of twelve. Wishing to pursue a career as a singer she moved to live with relatives in Love Lane in Kingston.In her teens, she recorded a duet with Owen Gray ("Sugar Plum") in 1962 and later recorded with Roy Panton for Coxsone Dodd's Studio One record label as 'Roy and Millie'. They had a local hit with "We'll Meet". These hits brought her to the attention of Chris Blackwell who became her manager and legal guardian, who in late 1963 took her to Forest Hill, London, where she was given intensive training in dancing and diction. There she made her fourth recording, an Ernest Ranglin rearrangement of "My Boy Lollipop", a song originally released by Barbie Gaye in late 1956. Released in March 1964, Small's version was a massive hit, reaching number two both in the UK Singles Chart and in the U.S. Billboard Hot 100, and number three in Canada. It also topped the chart in Australia. Initially it sold over 600,000 copies in the United Kingdom.Including singles sales, album usage and compilation inclusions, the song has since sold more than seven million copies worldwide. Millie was not a one-hit wonder. For example, subsequent recordings such as "Sweet William" and "Bloodshot Eyes", both charted in the UK at numbers 30 and 48, respectively." My Boy Lollipop" was doubly significant in British pop music history. It was the first major hit for Island Records (although it was actually released on the Fontana label because Chris Blackwell, Island's owner, did not want to overextend its then-meagre resources; in the U.S. the record appeared on the Smash Records subsidiary of Mercury Records), and Small was the first artist to have a hit that was recorded in the bluebeat style (she was billed as "The Blue Beat Girl" on the single's label in the U.S.) This was a music genre that had recently emerged from Jamaica, and was a direct ancestor of reggae. She appeared on the 1964 Beatles TV special Around The Beatles. On 6 March 1965, Millie appeared on the Australian television programme, Bandstand. This was as part of a concert at the Sidney Myer Music Bowl in Kings Domain, Melbourne, as part of the Moomba Festival. She performed "My Boy Lollipop", "What Am I Living For" and "See You Later, Alligator". Millie continued to tour and perform up to the early 1970s.On 6 August 2011, being the 49th anniversary of the country's independence, the Governor-General of Jamaica conferred the Order of Distinction in the rank of Commander (CD) upon Millicent (Millie) Dolly May Small, for her contribution to the Jamaican music industry. The award was accepted on her behalf by former Prime Minister Edward Seaga.In July 2012 she stated that she had been recording again and planned to perform in Jamaica for the first time in over 40 years. In honor of Women’s History Month, Coalition to Preserve Reggae Music (CPR), the reggae lovers’ organization now celebrating our tenth anniversary, will honor women in a special way in March. In light of the International observance of Women in history, the CPR focus for March is the mothers and daughters of Reggae Music, the brave, bright and talented women who have successfully navigated a male dominated industry to contribute and leave an indelible mark on the universal sounds of reggae. 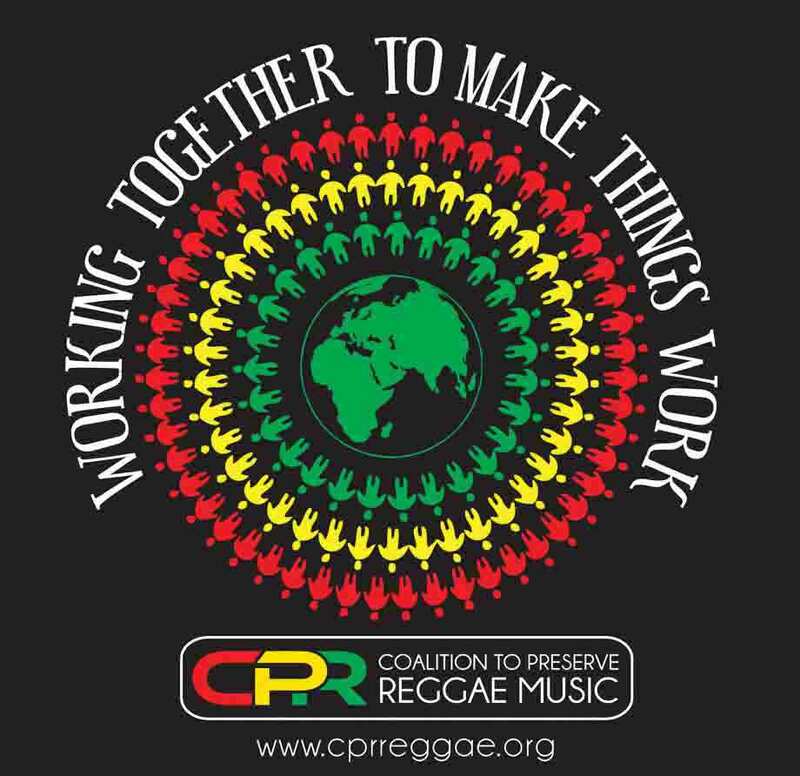 CPR’s objective is to get people involved and excited about learning more about what women have done in reggae music. As such CPR will conduct a social media education campaign, comprised of exhibits, music, challenges and trivia games. The tribute includes Guess Who? where a picture is presented and patrons are invited to guess who the artist is; Read about It, where biographical information is shared; and Did you know? where trivia and mind teasers are shared. There is also Jam Sessions! where music and videos of some of reggae music’s most notable female artist are played and enjoyed. The Women in Reggae tribute is a warm-up session, a prelude to the campaign's big finale which flows over into April, when CPR celebrates the feminine energy in reggae with a star studded line-up at the International Women of Reggae concert, April 25, 2015 at the Brooklyn Center for the Performing arts at Brooklyn College. Reggae Culture Salute is a majestic tribute that commemorates the anniversary of the coronation of His Imperial Majesty, Emperor Haile Selassie I of Ethiopia and Empress Mennen. This hallmark event of the Coalition to Preserve Reggae Music (CPR) is a multi-media presentation highlighting the organic relationship between reggae, rasta, Emperor Selassie and Jamaica. In 2005, the inaugural staging received rave reviews and New York's stamp of approval when patrons packed the world famous Roxy to celebrate the regal remembrance. Today Reggae Culture Salute is patronized by audiences all around the world. Each year, Reggae Culture Salute honors a stalwart of the genre with the Pinnacle Award for Excellence and this year, the honor goes to Marcia Griffiths. The veteran singer, who is hailed as the "Queen of Reggae" is celebrating fifty years as an integral part of the reggae music industry. She came to prominence with Bob Andy in the late 1960's with their remake of Nina Simone's "Young, Gifted and Black" and went on to greater fame singing backup harmony for the late "King of Reggae," Bob Marley, along with Judy Mowatt and Rita Marley in the group known as the I-Threes, and has enjoyed a stellar solo career. Notable among her many hits is the "Electric Slide" a perennial favorite written for her by Bunny Wailer. Music lovers are encouraged to come out to support Marcia on this auspicious occasion. Also performing at this the 10th annual Reggae Culture Salute is reggae crooner, Everton Blender who first graced the Reggae Culture Salute stage in 2009 and returns by popular demand as this year's special guest. The artist is expected to thrill the audience with hits such as "Ghetto People Song" and "Life Up Your Head" among others. At the core of the salute is the CPR Roots Reggae Revival Showcase, featuring members of the Coalition. Slated to perform are Connecticut’s Don Minott who returns by popular demand; Simone Gordon from New York City; from Maryland comes Da Real Storm while Tasha T makes her way from Toronto, Canada; former lead singer of the Wailers band Gary Pine will make his debut as will Turban X. CPR’s Poet Laureate, Ras Osagyefo will also perform. Backing band will be the CPR All Stars, directed by veteran guitarist Linford Carby. A special dance routine featuring dance moves from throughout the past fifty years will include the likes of noted dancer Alphonso Castro, Shawnee Lee and Sophia Walsh-Newman. The theme of this years staging is collaboration and collaborating with CPR in presenting it will be Union of Jamaican Alumni Associations (UJAA), Jamaicans Abroad Helping Jamaicans At Home (JAHJAH Foundation) and Diaspora African Rastafari Congress (DARC Foundation). With this theme of collaboration, the event will provide the platform for the U.S. launch of SiteMedia's Rastafari TV (RTV). In his 2010 coverage of the event, Jared McCallister of the NY Daily News pointed out that "It may be news to some, but reggae music owes a great debt of gratitude to the late Ethiopian Emperor Haile Selassie I." In a preview of the 2006 staging, Ben Sesario of the New York Times wrote "The big reggae concert this fall should be relatively free of the controversy that has dogged so many other recent reggae shows: homophobia," and called Reggae Culture Salute "a celebration of reggae's old-fashioned family values." CPRLive, CPR’s internet channel will provide a live pay-per-view stream of the event. Reggae Culture Salute is sponsored in part by Dennis Shipping, VP Records, Transcontinental Shippers and Western Union. Rastafarians follow the Nazarene belief of strict adherence to dietary laws that forbid the consumption of “flesh” most are vegetarians. Some will eat certain types of fish, like snapper, but others stay away from shell fish, like shrimp, crabs or lobsters, these are seen as scavengers. Rastas place a high value a healthy spiritual self. Abstinence from material wealth and influence is encouraged. As the group Morgan Heritage says, “you don’t haffi dread fi be rasta” so it is, many people who embrace Rastafari, do not wear locks and the converse is true, many people who wear locks are simple not Rastas. It is a way of life, a manifestation of who you are and how you live. “Rastaman live up/Bingyman no give up”said Bob Marley. Though many claim that “Rasta is an inborn concept” there are those who believe that you can “become” a Rasta. They encourage the daily reading of the bible to build strong spiritual awareness and regular communing with “brethrens and sistrens” to “reason” about the teachings. Part of the ritual and rites at these “reasonings” might be the burning of the chalice. Marijuana is seen as a “holy herb” and smoking it, brings them closer to God. But not all Rastas smoke marijuana. Like any other group, Rastas are not monolithic. There are different sects, Twelve Tribes of Israel is probably the most widely known. There is House of David, of whom the Prophet Capleton is associated. Bobos who wear their head wrapped in a turban and the Nyabinghi order, who all abide by a very strict orthodox code. There is also the Ethiopian World Federation and the Ethiopian Orthodox Coptic Church of North and South America. Rastas are hard working men and women who have a strong sense of African pride.